These words were the theme of the Archdiocesan Synod held over the weekend of 15‒17 September this year. We prayed about these words for many months and reflected on them prayerfully over the weeks leading up to the Synod. The 10‒11 Synod topics were all introduced with that theme: ‘Go you are sent’. I wanted all people in the Archdiocese of Wellington to know and to fully understand that the Church has a mission in the world, and every one of us is part of that mission. We were reminded in a message from Pope Francis for the Synod that he was praying for us: “that the Synod will encourage all the faithful to face the opportunities and challenges of the present moment through a renewed encounter with Christ and the saving message of the Gospel. For ‘whenever we make the effort to return to the source and to receive the original freshness of the Gospel, new avenues arise, new paths of creativity open up, with different forms of expression, more eloquent signs and words with new meaning for today’s world’ (Evangelii Gaudium 11)”. Now is the time for all of us to encounter Christ anew; the time to receive as a gift from God the original freshness of the Gospel. 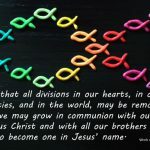 When we do that individually and as faith communities, be it family, school, parish or any other grouping of people who know that we belong in the Church, then we will make a difference in the world around us. The Synod itself is over. The 96 proposals (published as a lift-out section in this edition of WelCom for the Wellington Archdiocese) are being promulgated. Archdiocesan agencies have begun reflecting on how these proposals will now drive their work plans and the support they provide for parishes. All parishes have been sent the final document, which includes a suggested process for developing a parish pastoral plan, using the Synod discernment process. All those who participated in the Synod have been sent the final document so they can reflect on their work and look for ways for the Gospel to impact on our world today. We have been sent. Over the last few months as we prepared for the Synod, the country was also preparing for an election. We heard many times from our political leaders they wanted the best for all who live in New Zealand, they wanted to end child poverty, homelessness, provide education and medical care for all, they wanted to care for and promote the natural beauty all around us… to care for creation (God’s gift to us). It is not just for the Government to do these things, it is a task for all of us as our response to living the Gospel. We have been sent. We have been sent, not just from the Synod in September, we are sent out at the end of every Mass, sent to take Christ with us and to gift him to the world. 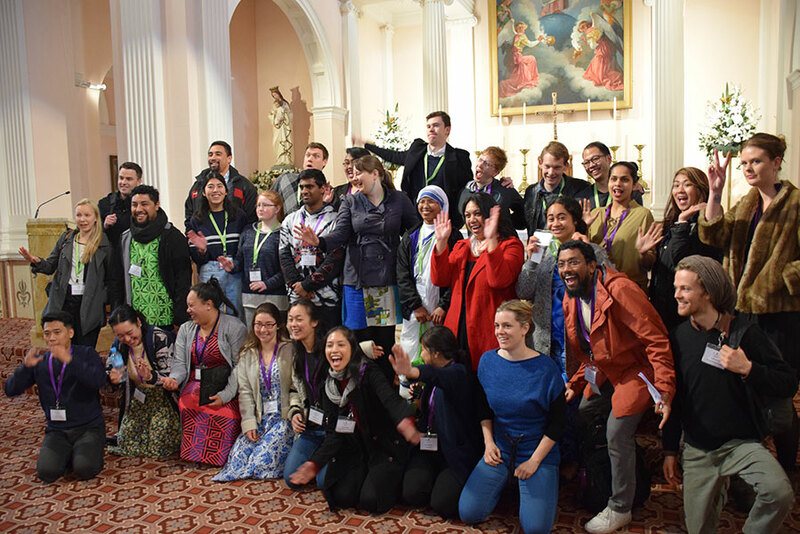 The Synod of the Archdiocese of Wellington was held over the weekend of 15–17 September 2017 and attended by 320 participants from parishes, schools, religious orders and Archdiocesan bodies. The Archbishop of Wellington, Cardinal John Dew, has accepted the recommendations made by the participants and is now promulgating – formally declaring – the recommendations as the directions and priorities for the Archdiocese to help shape and lead its direction now and for coming years. 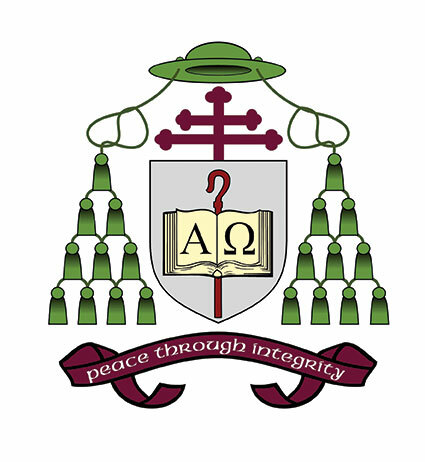 I, John A Dew, Archbishop of Wellington, having heard the members of the Synod of September 2017, and given due weight to their recommendations, hereby promulgate the documents of the Fifth Archdiocesan Synod, vest with my Episcopal Authority all that is taught or obliged by them, and order their publication for the benefit of all the faithful. By this promulgation and publication of the documents, I establish and define the directions and priorities of this local Church of Wellington for the immediate future. I invoke the presence and the power of the Holy Spirit, and invite all clergy, religious and laity to promote enthusiastically and act upon the renewed vision for our Local Church outlined in the Synodal Documents. I call upon all the faithful to continue their journey together in Christ by a faith-filled commitment to building up the Body of Christ and serving others in the Archdiocese of Wellington. Given in Wellington this 1st day of November 2017. The Synod for the Archdiocese of Wellington is over and it is time to begin work on its outcomes. Thank you to all who participated in the 2017 Synod process, the people who put in submissions, took part in the Synod itself, acted as facilitators and scribes, the volunteers and those who worked behind the scenes to make it all happen. Thank you to all across the Archdiocese for your prayers, which most certainly helped the Synod to run smoothly and enabled people to participate fully in the listening and discernment process. If there was one message I heard from people over the Synod weekend it was about how much they appreciated the prayerful discernment process and the wish that such processes could be used in parish life. There is absolutely no reason why that cannot happen, and indeed I hope it will. The discernment process should be an integral part of the next phase of the Synod, because it will continue our listening to the Holy Spirit and to one another. Pope Francis spoke about this in his message to our Synod when he asked us to “listen attentively to one another in reading the signs of the times, so that, in prayer, you may discern God’s holy will and be authentic missionary disciples”. the use of the Third Rite of Reconciliation in parishes in Advent and Lent. The first two were decisions made by a previous Synod, which since that Synod have taken us down particular pathways. The use of the Third Rite of Reconciliation in parishes in Advent and Lent does not comply with Canon Law and at this time I do not have the authority to introduce it. The Synod ‘17 outcomes are a challenge for parishes, schools, the Archdiocese, for all of us. They challenge us to change, which means we may need to review or let go of some familiar activities as well as begin new ones. We can only do this in harmony and with joy if we anchor our work in the Gospel, for “whenever we make the effort to return to the source and to recover the original freshness of the Gospel, new avenues arise, new paths of creativity open up, with different forms of expression, more eloquent signs and words with new meaning for today’s world” (Evangelii Gaudium 11). I suggest to Pastoral Councils they introduce some study of Evangelii Gaudium into their meetings, because it will provide context and support for your leadership role. The 13 topics and 96 directions and priorities challenge us with their number. There is the possibility we might lose our way in dealing with such a comprehensive list, and fall into a scatter-gun approach, which makes change patchy and uncoordinated. For this reason I ask Pastoral Councils to begin their planning with a focus on these topics. Go, you are sent…to build community. In working on these four topics, I ask you to bear in mind that “Go, you are sent to deepen your bicultural relationship” is to become an integral part of all our activities and decisions; and numbers 6‒9 in this bicultural relationship section have particular relevance for parishes. The Archdiocese office will begin its own reflection and planning process about the directions and priorities for which it is responsible. There will be continuing discussions with parishes and schools about the areas where the Archdiocese has been tasked with providing support to parishes, to ensure what develops is relevant, flexible and useful. We have much to look forward to, and much to do. At the same time pastoral ministry continues in our parishes. Therefore, we need to find ways of involving more people so that burn-out does not become the primary outcome of the Synod. Look after one another as we move forward, find and use the many gifts people have, be kind and patient, and let the joy of Christ shine in our communities. a. The Archdiocese revisits its Vision and Mission Statements in the light of the teaching of Pope Francis. b. The Archdiocese supports parishes and schools in creating an ‘infrastructure of pastoral care’ for the disadvantaged among their own people and those in the local area. 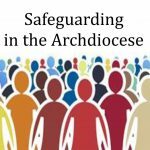 c. The Archdiocese, and its parishes and schools, undertake an analysis of their structures and processes to identify marginalisation and barriers to participation. d. Justice and service bodies in the Archdiocese work together to foster parish service and justice activities, including advocacy on issues related to poverty and disadvantage. e. The ‘preferential option for the peripheries’ is a factor in all Archdiocesan, parish and school pastoral planning and decision-making, including a focus on rural areas and communities outside the cities. f. The people of the Archdiocese collectively deepen their understanding of the nature of ‘the peripheries’ – where, what, who and why. g. There is a commitment in all areas of the Archdiocese to work together on a method for identifying and addressing the ‘needs at the peripheries’, which starts with listening to those on the peripheries. i. The Archdiocese engages with existing bodies – such as St Vincent de Paul Society – to determine how best to support and promote greater parish involvement in their work. j. Individual and collective cooperation with other Churches and community organisations on addressing the needs of those on the peripheries – including migrants and refugees – is encouraged. k. Parishes are encouraged to develop a project approach to service and justice needs. a. Parishes are supported to develop new and inclusive forms of liturgy/worship – other than the Mass – which reflect the diversity of parish communities and encourage people to re-engage with their faith. b. Language in liturgies, including hymns, is inclusive. c. The Archdiocese makes it a priority to support the development of liturgy/worship in parishes and schools through the provision of qualified personnel, resources and the training of lay leaders. d. Parishes review their music ministry with regard to vibrancy, inclusivity and relevance for the particular parish community, and take appropriate action. e. The Archdiocese creates and implements a pastoral plan, which takes account of cultural diversity, to ensure a coordinated and consistent approach to the spiritual growth of the people. f. Priority is given to reclaiming and using the Sacrament of Reconciliation as a path to forgiveness and healing at a personal and societal level. g. Different forms of personal prayer are promoted as pathways to encounter with Jesus. h. The Archbishop with the Council of Priests supports the ministry of preaching in a planned and resourced way. i. Ministry teams in parishes incorporate the use of testimonies in worship, drawing on the experience of parishes that have already taken this step. j. 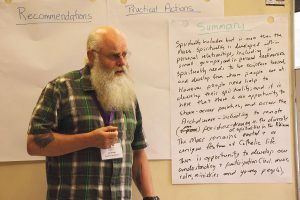 The Archdiocese identifies a variety of models for lay-led scripture study/reflection groups for use in parishes, and assists with the formation of leaders. k. The Archdiocese develops a formation programme for a ‘spirituality of service’, centred in the Eucharist, which can be implemented in small groups and tailored to meet local needs. l. Parishes undertake an annual gifts discernment process in order to ensure succession in the essential parish ministries. a. Adventurous, creative people with initiative who are able to lead the parish in its response to community needs are identified and encouraged to come forward. b. Understanding of leadership roles is broadened beyond those traditionally found in parishes, and appropriate formation is provided. c. Parish leadership and ministry teams encourage people to discern and offer their gifts in new and existing leadership roles, and to plan for succession. d. The role of lay pastoral leaders and priests is clarified, with an emphasis on collaborative ministry. e. New models of lay leadership – including team leadership, project leadership and servant leadership – are sought, and parishioners are prepared before implementing them. f. Formation and mentoring for leadership roles is provided at the parish level and throughout the Archdiocese. g. The Launch Out Programme is reviewed to determine if it is achieving what it was set up to do, and whether it has a wider formation role. h. Those in parish and Archdiocesan leadership roles collectively reflect the diverse make-up – age, ethnicity, gender – of the Archdiocese and parishes. i. Young Catholics in state schools are given opportunities for leadership formation and for exercising leadership in the Catholic community. j. Tertiary chaplaincy is strengthened and post-college youth leadership and formation programmes are further developed. k. Young people are encouraged, trusted and supported in taking the initiative in developing and leading new forms of ministry and outreach. l. A formation programme is developed to assist young people in their vocational discernment (single, marriage, religious and priesthood). m. Policies/norms are developed to ensure continuity in practice and lay leadership when there is a change in the parish priest. a. The Archdiocese supports parishes in a review of property, which begins with an assessment of needs based on the Synod outcomes. the rights of parishes are respected. c. Listening to the people and their full participation is the key element in the review of property. d. Decisions are made about under-used or unused property, with first consideration given to meeting community social needs. e. Wealthy parishes support parishes with fewer assets, in accord with the principle of the common good. f. The Archdiocese continues its Stewardship programme after reviewing it in the light of the Synod outcomes. g. The Archdiocese ensures parishes are aware of the forms of assistance available to them. h. The Archdiocese and parishes are fully transparent in the communication of financial information to the people, and this is done in an accessible way. a. 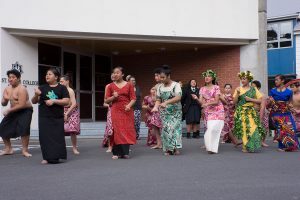 The Archdiocese deepens its understanding of Te Ao Māori and embraces biculturalism as an integral part of all its activities and decisions. b. The Archdiocese is a voice seeking ‘tika me pono’ (‘truth and justice’) to right wrongs in of the history of Aotearoa. c. The Archdiocese captures the shared story of our history. 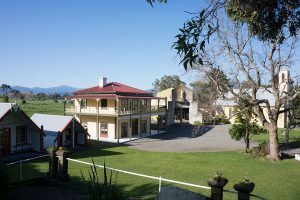 d. The Archdiocese continues to provide education about our history, including challenging racism in attitude and practice and developing understanding of mana whenua and its implications. e. The Archdiocese investigates the specific needs of Māori in the Archdiocese and provides adequate resourcing to support needs, including those of Te Ngākau Tapu (Personal Parish for Māori). f. Māori participate in leadership in ways that are effective and meaningful for everyone. g. There is provision for Catholic tauiwi (non-Māori people) of all origins to learn and participate within tikanga Māori. h. Parishes engage with Māori to further develop biculturalism in liturgy. i. Parishes ensure that churches and other buildings are places where Māori feel ‘at home’ through the incorporation of Te Reo, artefacts, art and symbols. 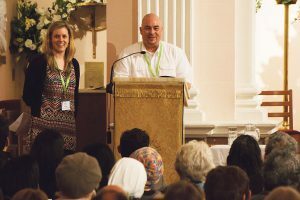 j. Priests coming to New Zealand from overseas to minister in parishes receive ongoing education in biculturalism. a. The Archbishop reviews the place and scope of ethnic chaplaincies in the Archdiocese. b. The role of ethnic chaplaincies is fully defined and communicated. c. Consideration is given to having ‘mixed’ chaplaincy teams, which include both younger persons and older people. d. Opportunities are created for migrants to tell their stories. e. Parish leadership and mission statements reflect the ethnic diversity of the community. f. Parish liturgies and activities involve and reflect their ethnic communities. a. Formation in a spirituality of service includes deepening understanding of the ‘law of gradualness’ and its pastoral applications for those who perceive themselves to be on the peripheries of the Catholic community. b. The Archdiocese provides greater resourcing for programmes that address the needs of separated and divorced Catholics, and works with parishes to identify the barriers to their participation. c. The Archbishop provides formation and pastoral guidelines for priests and pastoral leaders in the pastoral care of the separated, divorced, and divorced and remarried. d. The people of the Archdiocese collectively deepen their understanding of those who are on the peripheries of the Catholic Community – where, what, who and why – and actively create pathways for their inclusion, without creating ‘silos’, and which support them in their healing. e. The Archdiocese, involving Catholic Social Services and other appropriate bodies, supports parishes in dealing with suicide amongst parishioners and their families. develop or strengthen local solutions. a. The Archdiocese considers ‘care for creation’ as an integral part of all its activities and decisions. b. Ongoing formation based on Laudato Si’ – with an emphasis on Chapter 4: ‘integral ecology’ – is available to parishes, with a process that leads to practical actions by individuals and groups. c. Parishes and schools use ‘care for creation’ projects as an opportunity for cooperation that involves school families with the parish and provides an example to the wider community. a. The Archdiocese and parishes actively promote more interaction and partnership with other churches, particularly in action on social issues and joint worship. c. The Archdiocese engages in listening to inter-church couples to draw on their experience and address their needs. a. 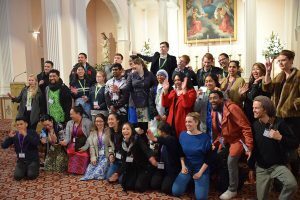 Young people are able to gather from across the Archdiocese and in parishes for formation, fellowship, worship and to engage with contemporary issues (including issues to do with sexuality) to empower them to live their faith in their daily lives. b. Involving young people in service to others is a priority, underpinned by formation in a ‘spirituality of service’. c. The attitudinal and structural barriers to young people ‘having a voice’ and participating in the liturgical and spiritual life of the Archdiocese and parishes are identified (through listening), and removed. d. The support and follow-up formation provided by schools and parishes for young people who have come through RCIA (Rite of Christian Initiation of Adults) programmes in Catholic Secondary Colleges is reviewed. e. Intergenerational ministry by young people and with young people is encouraged in parishes. f. The Archdiocese enables groups involved with young people to collaborate with one another and with the Archdiocese. g. The Archdiocese encourages and supports its schools in facilitating a personal encounter with Christ amongst their students, as explained in The Catholic Education of School Age Children. a. The Archdiocese engages with parents, including single parents, to determine how best to support them in educating and involving their children in the faith, and acts on the outcomes. b. The Archdiocese carries out a listening process with diverse families, prioritising families on the peripheries (‘preferential option for the peripheries’) to build trusting relationships and to enable parishes to better respond to their needs. c. Parishes make their worship spaces and liturgies more family friendly through a process of listening to their people. d. The Archdiocese provides a point of contact for those in a troubled marriage who are seeking professional help. e. Parishes review their support for those suffering grief and loss, including marriage breakdown, health deterioration/disability, with the review supported by Catholic Social Services. f. Addressing the needs of older people is a priority, with particular emphasis on their social, emotional and spiritual needs (spirituality of ageing and death). g. The Archdiocese commissions a research project into the relevance, reach and effectiveness of marriage-preparation programmes, with input from participants married between two to five years and marriage educators, and drawing on professional research. a. 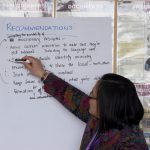 Priority is given in the context of implementing the Synod outcomes to building community and strengthening connectedness – including across the generations and cultures – in amalgamated parishes. b. Parishes revisit the Archbishop’s letters in the proposal and promulgation documents, ‘A Future Full of Hope’, and align their vision and practices with the spirit of these letters. c. Parishes create opportunities for the development of relationships between parishioners, particularly in amalgamated parishes, through working together on projects and responding to needs. 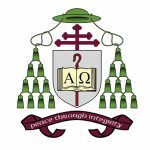 d. Continuing to strengthen the relationship and practical cooperation between parish and schools is a priority. e. Seeking out and drawing ‘the missing’ back into the parish community is a factor in all decision making in the implementation of the Synod outcomes. f. In being an inclusive and welcoming people, particular attention is given to those who are disabled and their families, including the mentally ill.
a. The Archdiocese creates a centralised ‘hub of connectedness’ for the purposes of building community through telling stories – personal and collective – sharing resources, linking to apps, disseminating information, sharing best practice and ways of getting involved. b. The Archdiocese provides online formation and learning opportunities. c. The Archdiocese ‘raises the profile of the assistance the Church can offer’ to the wider community. d. Parishes review their modes of communication regarding events, groups, achievements and needs, in order that parishioners might have a better understanding of what is happening in the parish. e. The Archdiocese develops a clear style of effective communication that avoids technical Church language and jargon, without obscuring or devaluing the meaning. Here are some of the many practical ideas that emerged from the Synod. The full list of ideas is published in The Synod Outcomes Booklet on the Archdiocese of Wellington website home page (www.wn.catholic.org.nz). Go, you are sent to…..
All groups in a parish get together on a regular basis to share what they do, identify gaps and overlap, create parish contacts and stimulate interest within the parish to minister to the needs of those on the peripheries of society as identified by the parish. Actively promote events such as Social Justice Week in parishes, use as a time for a particular form of service to others. Hold open days in parishes. Promote Christian meditation in schools and among adults. Develop many and varied spiritual practices outside of Mass. Unlock the doors of the church and make churches accessible on a daily basis for private prayer. Encourage music ministry in all forms, including music by young people. Retain tradition but make worship relevant and meaningful in relationship with Christ. Formation in spiritual development is critical in order to support service; unique to locality – one size does not fit all. Invite Pope Francis to celebrate an open-air Mass in Aotearoa New Zealand. Implement a day in the Archdiocesan calendar to celebrate and recognise the activities our people lead outside of church and parish ministry. Institute a Leadership Sunday to affirm leaders and parishioners’ contributions within the parish, recognising present leaders and encouraging others to step forward. Share information about the placement of Lay Pastoral Leaders, their role in the parish and how they work in the different parish contexts. Promote all forms of vocations to young people including media and visual methods. Develop an understanding and capability of how to invite people from across all the ethnic groups in the parish to take on leadership roles. Archdiocese to provides resource for training leadership teams as it does for school Boards of Trustees. Challenge parishes to sponsor people into basic TCI courses. Strengthen ministries by incorporating principles from the volunteering field. Make sure there is at least one young person in Parish Council. Churches could be more open places for other church activities, for example Rosary, Adoration, youth groups. Create multi-purposed community hubs as meeting the needs of the community, including sharing buildings – church, halls, schools, presbyteries. Think of marae as how buildings can serve the community – a community hub to reflect diversity. Use different skills within the parish community, for example accountants, tradies, and have a skills’ register. Use the Archdiocesan network for sharing of resources. Provide formation of finance committees in line with the principle that decisions on property and other assets are driven by the parish, archdiocesan, gospel call to mission. Have a Māori Mass once a month in each parish. Hold the next synod on a marae. Enable Māori to help parishioners with Te Reo so that it is appreciated in the parish. Greater commitment to Māori Language Week, for example by including Te Reo in parish newsletters, Mass, hymns, parish website, to heighten our national commitment to inclusion and recognition of Treaty of Waitangi partnership. Foster ways to get to know new members outside of Mass and help them integrate. Formation for parish leadership across all ethnicities and groups. Provide English translations of hymns, prayers etc alongside words in different languages. Multicultural celebrations, all together not just single cultural celebrations – promote joint celebration of different communities. Offer education and workshops to develop further understanding of Pope Francis’ teaching on pastoral care. Promote the work of the Marriage Tribunal. Have instructions which are sensitive and standard for those not going to communion. Address high costs of Catholic education, wich push those who can’t afford it to the peripheries of the Catholic community. Develop liturgical resources to celebrate the season of creation here in Aotearoa New Zealand. Initiate or take part in community projects such as ‘Clean Beach Day’, community garden, suggestions at www.greenchurch.ca; support Zero Carbon Act movement (zerocarbonact.nz). Parishes get involved with the ‘Transition Churches’ – a network of Christian churches in New Zealand who are working on local faith community responses to energy, climate, food and financial challenges. Council of Priests and Archdiocesan Pastoral Council study Laudato Si’ and work out practical implications for parishes and schools. Shared youth groups with all people of faith in the neighbourhood. Take every opportunity to invite to and attend one another’s events, and share information. Provide words for prayers and songs for – at least – weddings and funerals. Develop ways for interaction and partnership, shared liturgies and key events, Scripture studies and prayer groups, service ministries, for example ministry to seafarers – which works well as combined churches –, food banks, lunches for elderly, social actions. Remember young people are part of the Mass and the community, not separate from it. Implement post-sacramental programmes to ensure engagement after receiving the sacraments. Promote Family and Young Church Ministry to parents as well as youth. Provide ongoing Faith Formation for young adults, for example Leadership Formation Programme. Encourage youth to attend XLT, Taize, LifeTeen, YAFA and other fellowship programmes. Have a dedicated liaison person between the parish and school to welcome and support families. Archdiocese and schools to work together so that enrolment in schools is non-judgmental. Better promotion and availability of information about Natural Family Planning. Help non-Catholic partners to feel accepted in the Catholic community. Make the word ‘sacramental’ encompass all the sacraments – including marriage and anointing of the sick – as term commonly only applied to children. Support those who are finding the changes resulting from parish amalgamation difficult. Come together for fellowship with parish events, meals. Provide opportunities for bringing interest groups – for example liturgy, music, formation, social activities – throughout the Archdiocese together as one group to stimulate and reinvigorate each other. Invite all faith-based groups-communities to come together to discuss ways of linking the generations. Work on a proactive personal, varied, inclusive approach to community to ensure connectedness across the Archdiocese.